Everyone has their own family holiday traditions. For several years, ours has been to bundle up in warm and waterproof clothing, grab the camera gear, and perch on rocky outcroppings on the Oregon coast until it's too dark to see. _Timing is crucial, of course, so when I arrived on Christmas Eve, I had about enough time to put my stuff down and use the restroom before we raced to the water's edge to beat the sunset. _On Christmas Day it was the same story; 100% of the time between the end of opening presents and the end of the solar part of the day was spent shooting. Of course, with a nearly rainless December so far, there was definitely precipitation to contend with on our planned shooting days, but precipitation always makes for more dramatic clouds. This year marked my first attempt at HDR. I don't know why I hadn't tried it before now, but I love it. I will be refining my technique in attempt to be a bit more subtle about it, but it's hard to steer myself away from such great colors! Rapidly changing light conditions are a bit tricky to deal with, but it is also the best time of day to capture dramatic beach scenes. Some shots I have to just let go because if I spend too much time fiddling with the camera, I won't get to see it at all, let alone get a photograph that will do it justice. There were just a few anemones in the tide pools, but I got a few more shots of their cousins at the Hatfield Marine Science Center the next day. I'll post some of those later. _Not every shoot is successful, but after a couple of days, I usually come away with something good. My yields from Christmas 2009 and Christmas 2010 were pretty good (the bitter cold and sideways rain of 2010 inspired my mother to knit me the world's greatest photography gloves, with little slits in the pointers and thumbs so I can still work my camera controls without removing them). Sensational. Your planning and patience has paid off well. The the dramatic effects of the coastline combined with your HDR work splendidly together. Love it! Oh Wow! Those are so beautiful! I'm in love with the colors. 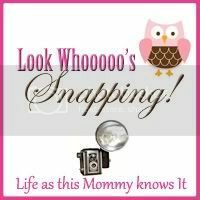 Thanks so much for sharing at "Life as this Mommy knows It"!